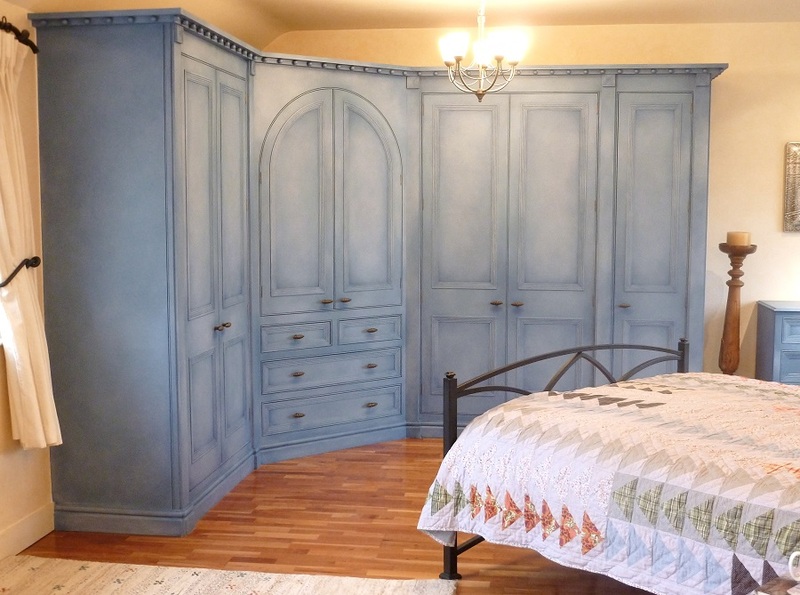 For this paints effects hand painted wardrobe project I headed back to one of my best clients and a home that has seen me complete paint effects in the kitchen, the lounge, the snug, the dining room and the master bedroom. This time I was called back to create a paint effect on the walls of the en-suite, and also update and change the look of these wardrobes. 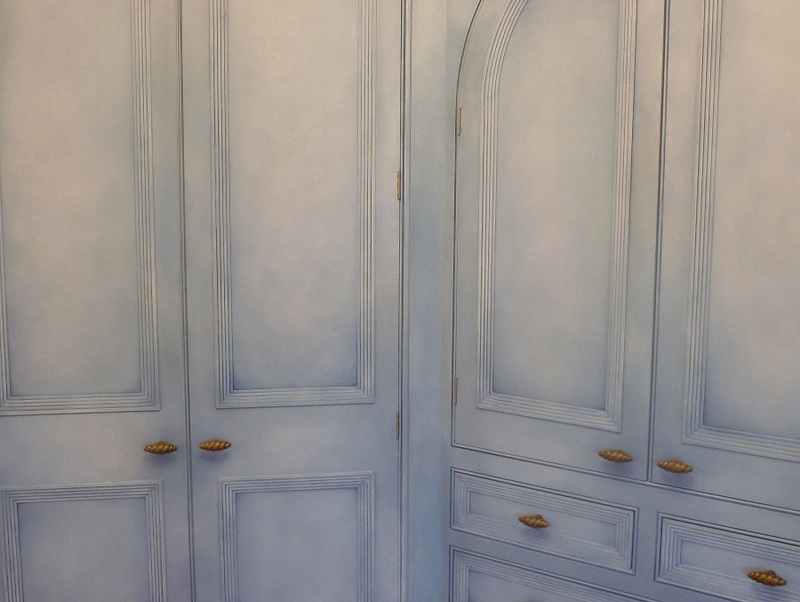 When I painted these wardrobes the first time round, it was actually the first job I ever did on my own whilst I was working for Nicola Creasey. That was over 15 years ago! 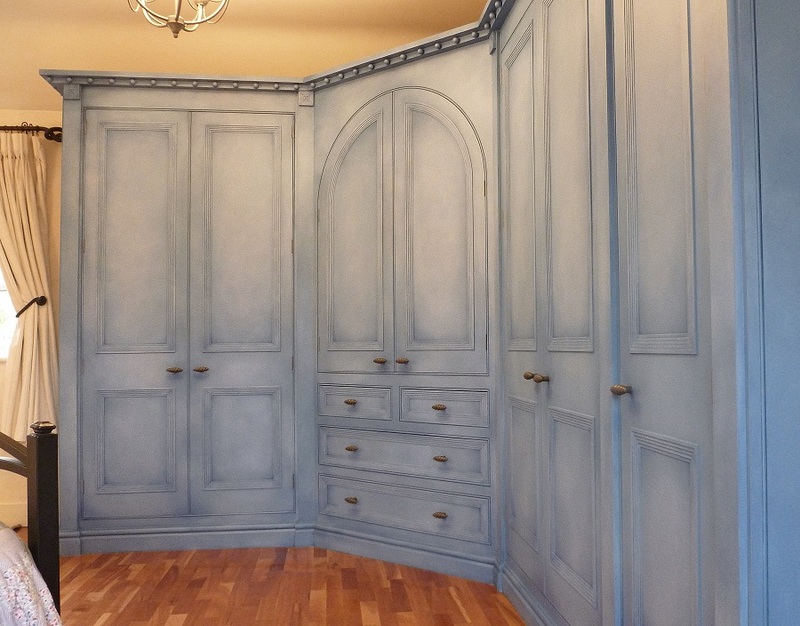 Even though it had been a goodly amount of time since they had last been done the wardrobes were still in incredibly good nick. Yes, they had a few chips, and the paint has been worn away around some of the handles, but all in all it was pretty amazing how well they looked. 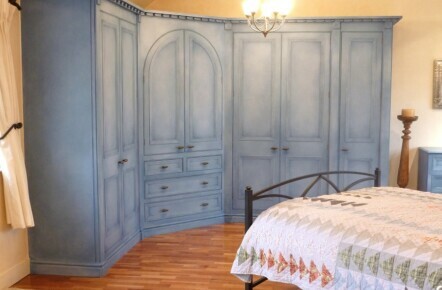 A testament to quality cabinetry, good painting practice and top notch materials. 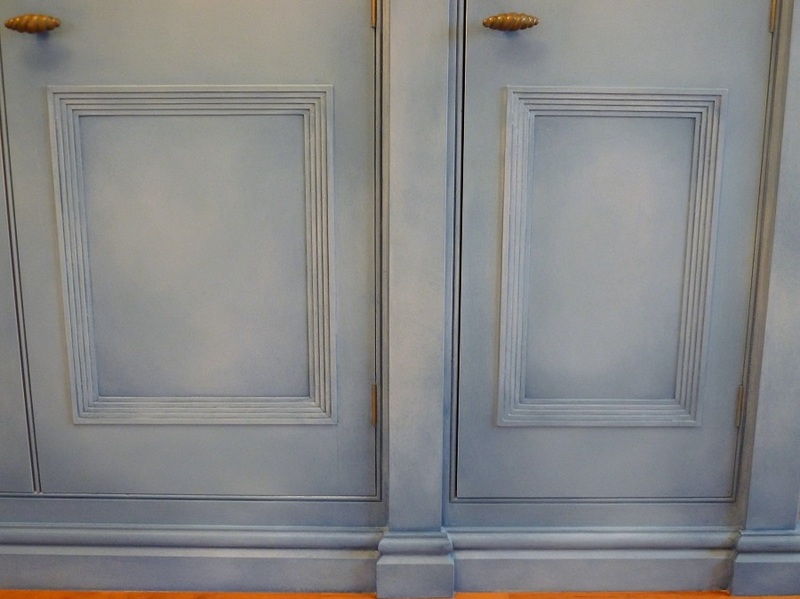 Rather than a dramatic change and a complete repaint, I was going to subtly tweak the existing effect and deepen the colour – a very cost-effective way of updating your decoratively painted furniture. 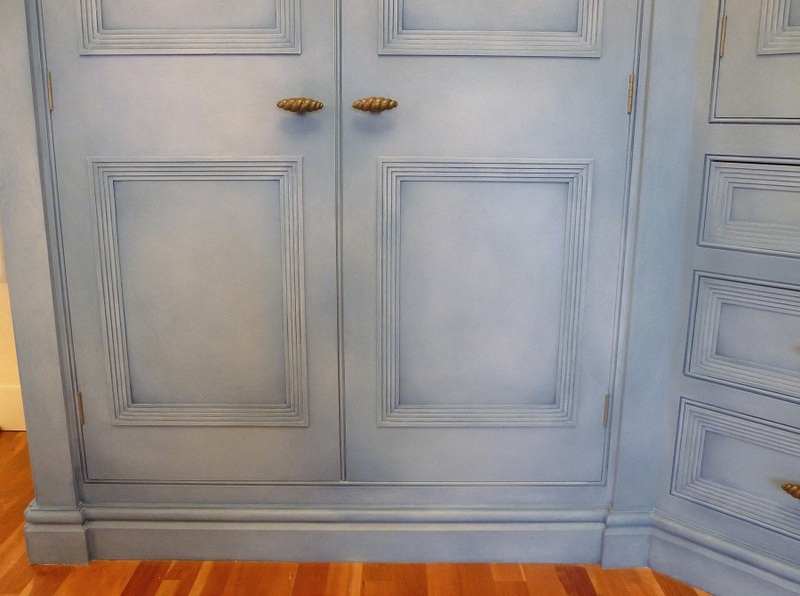 Instead of the slightly ‘rag rolled’ finish I did all those years ago, I was going to do a more subtle and cloudy effect, one that was more refined and of the moment. Once I’d finished the client was over the moon as always and already looking forward to the next project. For me it was time to head into the master en-suite and continue the prep work for the second part of the project, a cloudy colourwash paint effect on the walls. This had last been done around 16 years ago and was only now needing a re-paint – a testament to the wonderful longevity and continued interest in paint effects. 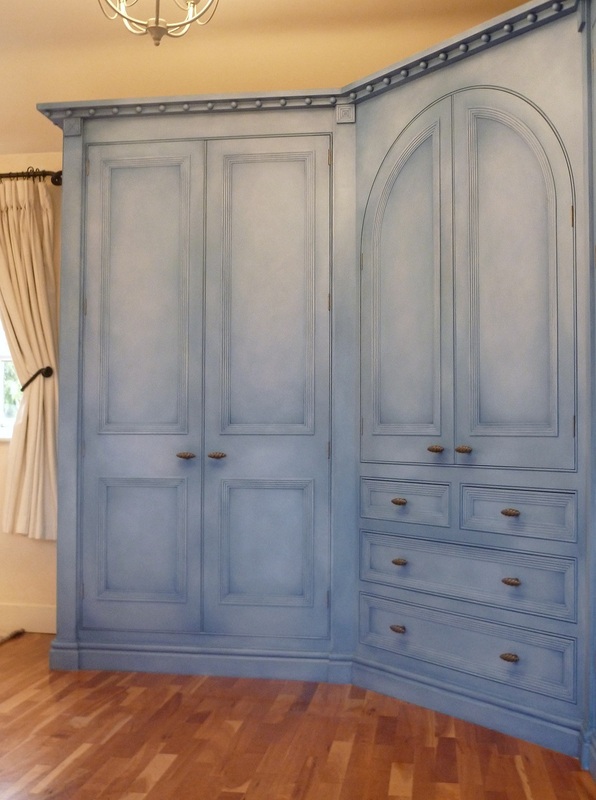 If you’d like to learn more about this particular project, see photos of how it progressed and generally see how I went about things then please check out my Blog on Hand Painted Wardrobes with Decorative Paint Effect.